Shiv Khera, author of the bestseller You Can Win, is a well-known personality. But there’s much more to know and explore about his multifaceted personality. Writer, author, motivational speaker, educationist and above all, a great animal lover… yes, he just loves our furry four-legged friends as much as we do! Here’s more about his unflinching faith in pet companionship and ways to be a better pet parent. 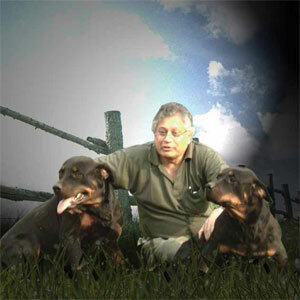 A man of wisdom – Shiv Khera’s love for pooches is not just a few years old, it has been always there! On asking about his first pet dog, he smiled and replied, “For this I have to go back almost 50 years ago. When I was in my school, I was very fond of animals. I was good in sports and I used to play polo. That was the time when my love for animals started. And at one point of time I even had seven pet dogs.” Today, he’s a proud pet parent of six wonderful canine champs – four Rottweilers and two Pugs. He just loves to see them playing and wandering all around. Since Shiv has multiple dogs at his house, jealousy or shall we say sibling rivalry is obvious. “Once I had two pet dogs, a Mastiff and a Bhutia… and I was petting them both. After some time, they both started showing little aggression as they needed undivided attention. I tried to separate them and my hand got hurt. Here lies the importance of training. It’s a moral responsibility of a pet parent to train dogs properly. Once trained, a dog will never be ill-tempered. A hungry untrained dog…especially big breed can cause huge damage,” he shared. “I love my pooches and they love me unconditionally…they are emotional too. Every day, when I go home and my car enters…there’s a bedlam in my home. They will keep barking, shouting and hauling until they get desired petting. Once petted, they all are calm and cool…and they look so sweet being calm after a spell of a noisy session,” told Shiv. Favourite activity: I always carry biscuits and chew sticks, while training and rewarding them is the best thing. Annoying activity: When I go home, all my pets and grandchildren, jump on me altogether….it’s annoying at times. Treasured moments: The time spent, with my pets, at my farm are the most precious moments for me. Best quality: Doggies’ ability to understand and feel your pain and emotions is a wonderful quality. Cool puppy shower ideas… Groom them young!